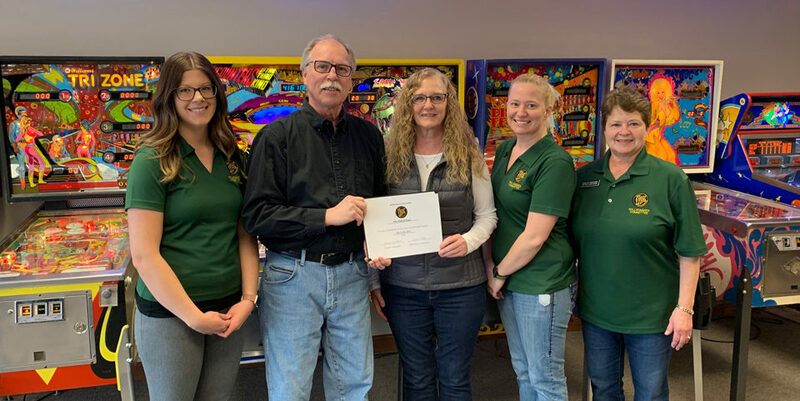 The Willkommen Committee recently welcomed New Ulm ATA Martial Arts as a new member of the New Ulm Area Chamber of Commerce. The organization is located at 319 N Front Street, in the Snap Fitness building. The American Tae Kwon Do Association (ATA) has over 950 schools throughout the United States. Mr. Jim Schwab, a 4th degree black belt, is in charge of the ATA School in New Ulm. He has help from parents of students, like Lindsay Medina, who take on leadership roles and assist teaching the classes. ATA Martial Arts is a year-round club for students ages 3 to 73. They train students not only physically but also mentally. The children learn life skills including self-control, discipline, respect, courtesy, and self-esteem. Welcome, ATA Martial Arts! 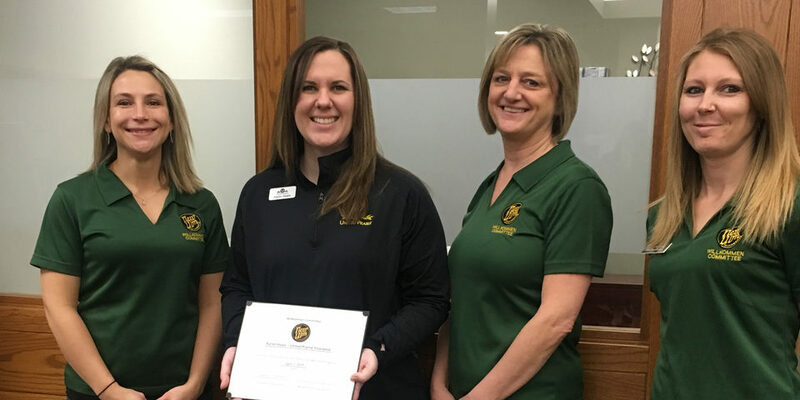 In the photo: Audra Shaneman, President & CEO, New Ulm Area Chamber of Commerce; Amber Wicke, Best Western Plus; Randy Schroeder, Frandsen Bank & Trust; Jim Schwab & Lindsay Medina, New Ulm ATA Martial Arts; Kim Hanson, New Ulm Real Estate.